Having been born and raised in New Orleans, I regularly have a craving for their famous beignets. 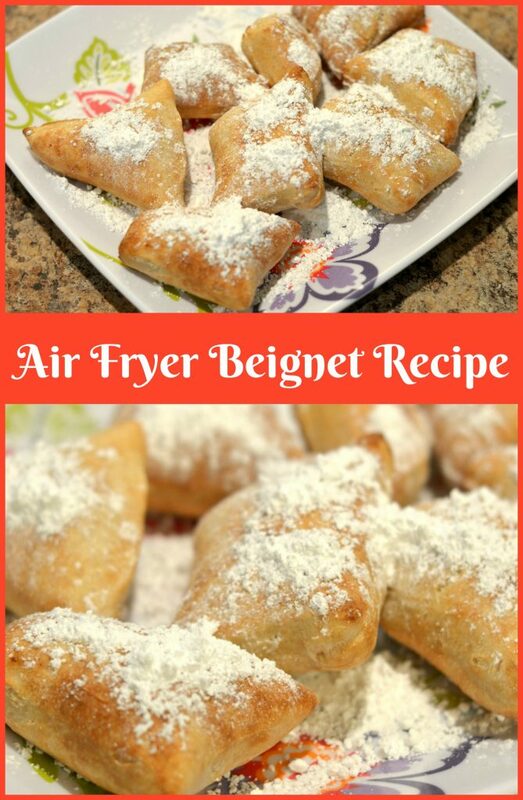 Good thing for this Air Fryer Beignet recipe, it saves me a trip and some calories! Since receiving my air fryer this past Christmas, I have been not stop air frying all the foods! Last week I shared this air fryer recipe: Air Fryer Churros Recipe, Air Fryer French Toast Sticks Recipe, Air Fryer Smores Poptart Recipe, Air Fryer Toasted Perogi Recipe and Air Fryer Burrito Recipe. 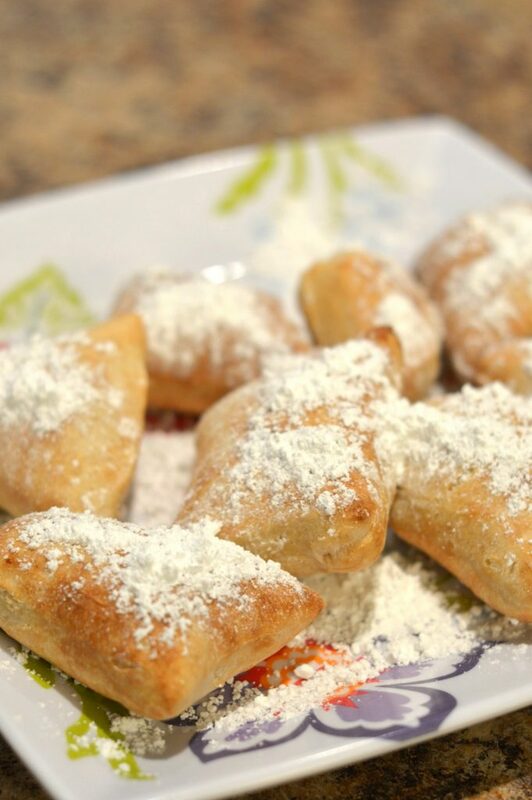 Well being a native of New Orleans, it is only natural I would try my hand at a New Orleans classic recipe using my air fryer, so behold: Air Fryer Beignet Recipe! Not only did I want to bring this French Quarter treat to my readers but I also wanted to give everyone a skinnier, more waist-line friendly recipe because those beignets are fatty with a capital F.
I mean they are delicious, so they are totally worth it but skipping the step with frying the beignets in oil is a total fat saver. Mix flour, salt, and instant yeast together in a small bowl. Heat the milk in microwave until boiling hot. Combine butter and sugar in a mixing bowl and pour the steaming milk over the top. Stir so that the butter melts and the sugar dissolves. Allow to cool to a lukewarm temp. Add the egg and vanilla to the milk mixture and mix thoroughly. Add the wet ingredients to the dry ingredients and mix until a dough is formed. Knead dough for 3-5 minutes. Place dough into a lightly oiled bowl. Cover and allow it to rise for about 1 hour or until it has doubled in size. Roll out dough to about 1/4 inch thick on a floured surface and cut into squares. Set dough pieces aside for 30 minutes or until they have almost doubled in size. 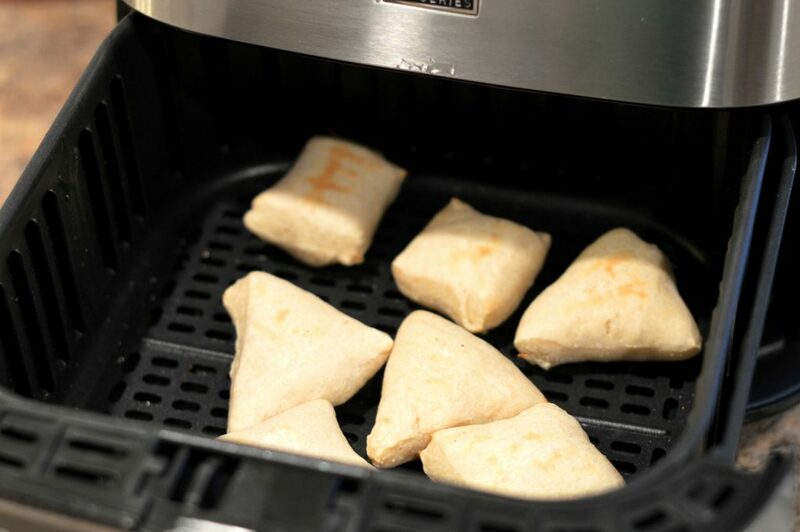 Set airfryer at 390 degrees and cook dough squares for 6 minutes, flipping them over halfway through. 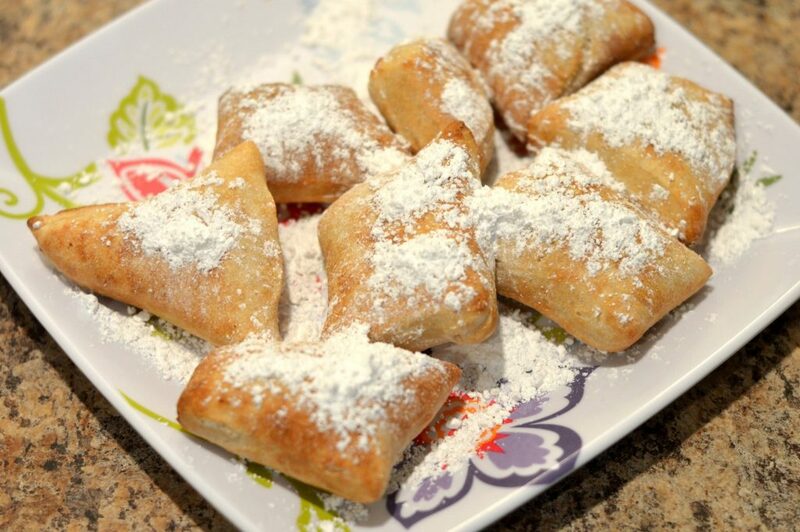 Cover with powdered sugar and enjoy! 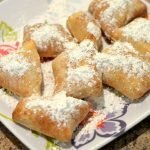 Famous New Orleans beignet recipe which is a little lighter on the waistline since it is cooked in an air fryer! I can’t wait to try this! I have been depriving myself of beignets because of calories. This air fryer adaptation looks great! Thank you for taking the time to do this and to share it with us. As a fellow born and raised- Louisianian, I trust your taste buds lol. Love this recipe. I cut them smaller and found it was better at 340 degrees for 5 min and I didn’t have to turn them over. I grew up in New Orleans and always had these with a cup of hot chocolate. I love not having to stand over the oil and then having the hot oil smell linger. Thanks for the recipe!